Soccer fever is on the high and I couldn't escape its joy net too. So, have been catching up with various magazine specials like our very own Sportstar and the Indian edition of Sports Illustrated. In this post let me give you a brief about the first ever FIFA* World cup held in 1930. Only 13 teams participated in the 1930 World Cup held at Uruguay; most teams from Europe skipping the event because of the long, exhausting and extravagant sea journey it involved. Even as the host and defending Olympic champion Uruguay crashed horns with Argentina in the final, feelings ran high. There were now no doubt that the tournament had captured the public imagination. Jean Langenus, the Belgian referee for the final, who agreed to be part of the match just hours before game commencement, had a boat ready at a harbour close to the match venue, if things went awry. He didn't have to worry as Uruguay romped to a 4-2 win. Another feature of the final was that it was played with two different balls in the either half. Argentina bought the ball for the first half, the hosts picked one for the second. The first goal of the tournament is still remembered, scored as if was by Lucien Laurent, a Frenchman, against Mexico, a match that France won 4-1. Laurent, speaking of it later, talked of snow that fell during the match. He also mentioned how muted the celebrations were then, "Everyone was pleased but we didn't all roll around on the ground - nobody realised that history was being made. A quick handshake and we got on with the game. And no bonus either; we were all amateurs in those days, right to the end." *International Federation of Association Football (French: Fédération Internationale de Football Association), thus FIFA. An international governing body of association football - headquartered at Zürich, Switzerland with 208 'member associations'. 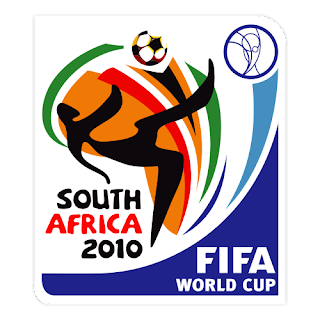 Responsible for organization and governance of major international football tournaments, most notably the FIFA World Cup.